ONLINE SHOP IS NOW CLOSED (TEMPORARILY) TO GET READY FOR BABY SIS JOINING US VERY SOON! WE WILL CONTINUE TO BOOK EVENTS FOR THE LATE SUMMER-WINTER THROUGHTOUT THE CLOSURE. THIS IS BY FAR OUR FAVORITE MACARON BAKING MAT. WE USE THESE EVERYDAY. AND ARE EXCITED TO FINALLY BE ABLE TO SELL THEM TO YOU!!! 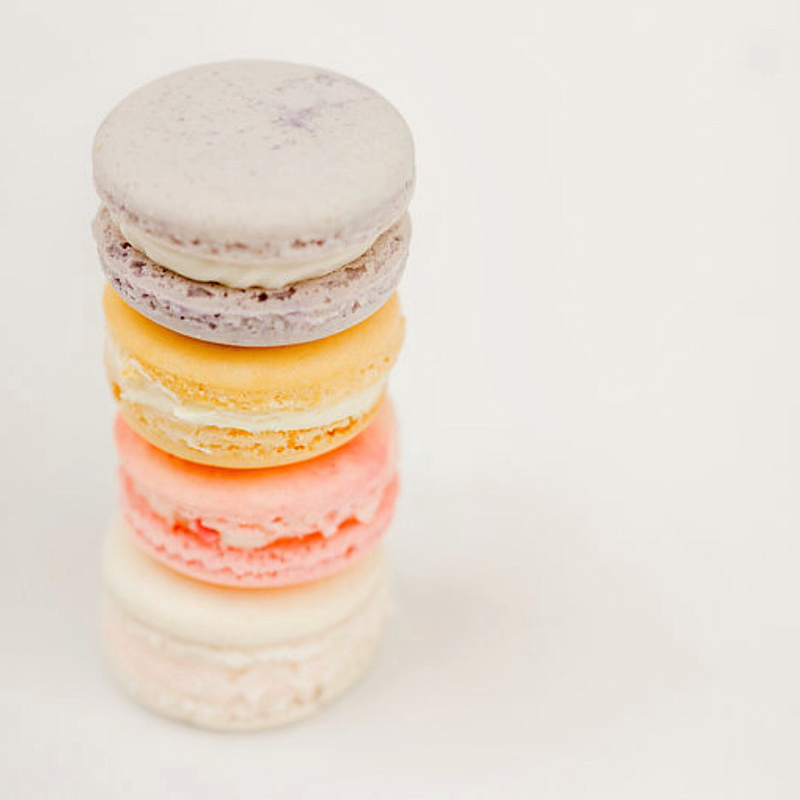 ​THEY HELP YOU MAKE AND KEEP THE PERFECT SIZE, SHAPE OF AND LOOK OF YOUR MACARONS. AND WHEN BAKING THESE DELICATE LITTLE COOKIES THATS PRETTY MUCH HALF THE BATTLE. I STARTED BAKING AT A VERY YOUNG AGE ALONG MY MOMS SIDE. SINCE THEN, IVE TAKEN OVER HER BUSINESS, STARTED MY OWN, CREATED THIS AWESOME BRAND AND MOST OF ALL FOUND A LOVE FOR FRENCH MACARONS. THAT SWEET LITTLE COOKIE IS HOW THIS ENTIRE ADVENTURE STARTED. I HAD RECENTLY GIVEN BIRTH TO MY SECOND CHILD, AND I FELT THE NEED TO GET BACK TO BUSINESS BUT WANTED TO TRY A DIFFERENT APPROACH TO IT ALL. I GAVE SOME RECIPES A FEW TRIES AND HAD VERY LITTLE LUCK FINDING A RECIPE FOR MY ALTITUDE, AND WITH THE LOOK I WAS LOOKING TO ACHIEVE. SO THAT BROUGHT ME TO THE DECISION TO CREATE MY OWN RECIPE. THEN I GOT WORD FROM CUSTOMERS AND OTHER BAKERS THAT THERE WERE ACTUALLY OTHER METHODS OF BAKING THEM. THEN CAME ALONG THE "ITALIAN METHOD RECIPE". I GREW A NEW LOVE FOR THIS SWEET AND DELICATE COOKIE AND SO DID MY CUSTOMERS. I FOUND THAT THIS COOKIE WAS ONE THAT WAS EXACTLY WHAT I WAS LOOKING FOR. A FEW YEARS LATER, WE ARE HERE TODAY, USING THAT SAME RECIPE THAT I CAME UP WITH 2 YEARS AGO. WE'VE MADE SOME IMPROVEMENTS OF COURSE, BUT STILL HAVE THE SAME BASE RECIPE. SINCE THEN, THIS RECIPE HAS GONE FROM SMALL TO HUGE IN A MATTER OF MONTHS. OUR RECIPE IS KNOWN THROUGHOUT THE UNITED STATES, SOUTH AMERICA, EUROPE, CHINA, AND BEYOND! WE HAD NO IDEA THAT SOMETHING LIKE THIS COULD GROW TO SOMETHING LIKE IT IS TODAY. AND I HAVE TO GIVE ALL CREDIT TO OUR AMAZING AND LOYAL CUSTOMERS. THAT IS JUST A SMALL GLIMPSE INTO WHO I AM, WHO WE ARE AS A COMPANY AND WE CANNOT WAIT TO SHOW YOU ALL OF THE FUN THINGS WE HAVE IN STORE FOR OUR SWEET SHOP. FOLLOW ALONG FOR DROOL WORTHY PICTURES, VIDEOS, RECIPES, CLASS SCHEDULES AND MORE!